This review is posted as part of TLC‘s Book Tour for With This Pledge. Elizabeth “Lizzie” Clouston’s quietly held principles oppose those of the Southern Cause — but when forty thousand soldiers converge on the fields of Franklin, Tennessee, the war demands an answer. The Carnton home, where she is governess, is commandeered as a Confederate hospital; and Lizzie must summon fortitude to assist the military doctor with surgeries that determine life or death — even as she fears for the life of Towny, her fiance and lifelong friend. Lizzie is nothing if not a woman of her word, earning the soldiers’ respect as she tends the wounded convalescing with Carnton’s walls. None is more admiring than Captain Jones, who doesn’t realize she is already pledged to another. But Captain Jones holds secrets of his own which prove costly for Lizzie. Because a betrothed woman shouldn’t harbor feelings for a man other than her intended. Especially not when that man is a slave owner. When Towny vanishes after a crushing battle in Nashville, Lizzie must confront the costs of war. And torn between love, principles, and promises made, she struggles to be true to her own heart while standing for what she knows is right — no matter the cost. 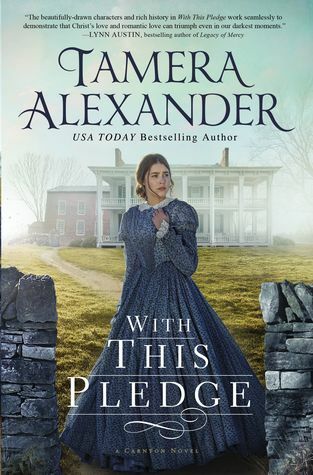 “Tamera Alexander takes us to the Civil War battlefield with a vivid yet sensitive portrayal of war and its aftermath. With warmth and grace, she shows us hope and faith at work in the midst of suffering. The beautifully-drawn characters and rich history in With This Pledge work seamlessly to demonstrate that Christ’s love and romantic love can triumph even in our darkest moments.”–Lynn Austin, bestselling author of Legacy of Mercy. Helplessness is one of the worst feelings a human can experience. To me, there is nothing more awful than seeing someone in great pain and genuinely being unable to help. Tamera Alexander does a really good job of portraying true helplessness in With This Pledge. There are so many horrible moments that take place in this book where Lizzie, the heroine, feels utterly powerless to do anything to make the situations better. On the night of November 30, 1864, Carnton House was commandeered by Confederate soldiers and turned into a makeshift hospital. Acting governess to the McGavock family, Lizzie finds herself pulled in to help the surgeon as he furiously tries to save the lives of many, many broken and severely injured soldiers. Uncertain what to do, but absolutely willing to help, Lizzie aids the surgeon in ways she never imagined. Between the agonizing cries of the wounded and the devastation left after many, many men die senseless deaths, Lizzie struggles with how useless she feels. Sometimes in life, moments barrel us down leaving us questioning whether we will ever be able to get back up again. The Battle of Franklin and its aftershocks is a prime example of life beating down humans. There have been a handful of times in my life when I have experienced a sense of helplessness. But I admit that I truly did not understand that word in its fullest sense until two weeks ago. Two weeks ago, my dad was killed in a car accident. Someone swerved in front of him on the freeway, and changed my family’s lives forever. There was literally NOTHING anyone could have done after that man made his choice to drive selfishly rather than safely. You want to know what true helplessness looks like? It’s watching your precious mother say goodbye to her best friend before the crematorium workers take your father’s body away forever. It’s knowing that there is absolutely NOTHING I can do to help my mom. It’s knowing that my beautiful daughter, nieces, and nephews will never again get to play with their beloved grandpa this side of Heaven. It’s knowing that my brothers, sister, and I have to wait until it is our turn to go to Heaven before we can hug and kiss our dad again. One man made a decision and there is NOTHING I can do about that. This is true helplessness. I completely understand how Lizzie feels in With This Pledge, and with every fiber of my being I wish I didn’t. There are several timely themes weaved throughout With This Pledge; all so important for today’s readers to consider. The theme that most resonates with me is that while life is uncertain and there are no guarantees, we who love and cherish God can rest assured that He orders our steps. Nothing surprises God. Nothing shocks Him. God puts every single one of us on a path, and He promises to be with us every step of the way — even in our most helpless of moments. With my heart currently battered, shattered, and bleeding, I really needed this reminder that God is always in control and He is always near. This takes the sting out of what seems like chaos to me. Tamera Alexander is incapable of writing a bad story. 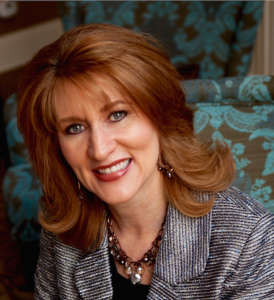 She truly is one of today’s leading Christian Historical Fiction authors. With This Pledge may be Alexander’s best book to date. With a setting that pulls the reader in from page one, characters who are brilliantly and realistically crafted and who worm their way into the reader’s heart, and timely themes, With This Pledge is a definite must-read for 2019. I highly recommend this stunning novel! Wonderful, heartfelt review Nichole! 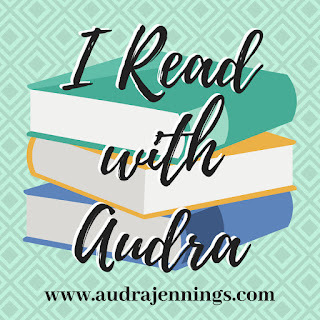 I have this book on my #TBR and I’mI looking forward to reading it!!! Sending you big hugs!! I am so sorry about your dad, that is awful! Although terrible circumstances, I’m glad you were able to relate to the character to capture the essence of the book. Thank you for being on the tour!